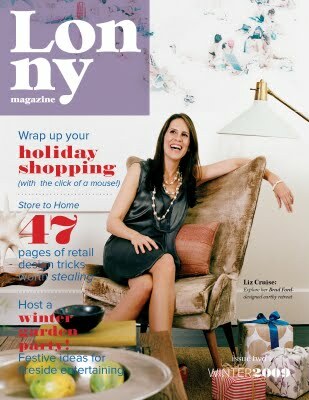 to get home from classes today and read through the new Winter issue of Lonny! I feel like Christmas came early...that's how much I loved the last issue! Has anyone had the chance to look at it yet? Can't wait to make some time this weekend to look through it. I loved the first issue. Stop by today - I'm having a giveaway! Did a quick flip thru it at work (shhh!) but going to sit down with my laptop and a coffee this Saturday for a Lonny-fest! you will love it- just finished! I need to carve out a couple hours - its a big commitment, once I start reading and looking I just can't stop! I didn't know it was out. I loved the first issue. Can't wait to look at the new one. yup. don't wanna say. come have a chat when you're done. Ahhhhh, I keep forgetting about it. Is it as good as Domino? It's fantastic! Be prepared to loose a good hour or so! I have not sat down to really look at it but I want to!